While perusing ToysREvil we found this toy and had to share. I love toys with cracked out faces that make me laugh out loud. Whaleboy is the creation of illustrator Patrick Morgan, and the comic that the toy is based on is being pitched to Nickelodeon to possibly become a cartoon! Reminds me of Ren & Stimpy and Spongebob a bit. Oh and the best part? He apparently has a sidekick named “Sucka”, one of those little sucker/cleaning fish! Too funny and cute. If you wanna get your hands on one of these guys check out whaleboytoy.com. Ripple (beta!) - interesting idea… web ads for charity? This Australian company has set it up so that you can run ads and the advertisers donate to the charity of your choice for each view. And the whole site is quite fresh, pretty, and oh so web 2.0 ~ nice concept though. Currently you can give 6 days access to clean water, help a village feed itself, give 2 days access to education, or finance a 100$ loan for a day. The iPod nanos always felt like a bar of soap to me, a wet bar of soap, the type that was ready to launch out of your hand. Vakaadoo’s Soft Feel changes that to have that great slightly grippy texture, and you barely notice the case on it. (Unless you want to - by picking contrasting colors, etc.) Been playing with this for the last week or so, and actually have found that its brilliant feature i’ve fallen for is that i can attach my keys, etc to it, so while working out i don’t need to worry about various loose pieces. And the quality of the piece is really nice, almost surprising how seamlessly the front and back pieces slide together, and hold so well! More images below of what other goodies come packaged in with the case. Reyka Vodka - previously i showed you their brilliant ads (and for all who wondered who the actress is, meet Hafdis Huld - an Icelandic singer/songwriter, and was formally in the dance/ indie band GusGus, check out her adorable vlog). 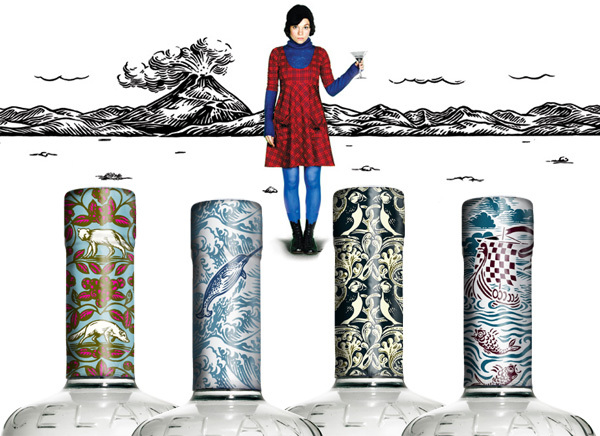 Just as cool as those ads, are the various foil wraps on the bottles - gorgeous vibrant graphic design. Above are my favorite 4 (and more images of the others below). Can’t wait to try the real thing and tell you more. On finding random creative inspiration when you least expect it, i shipped off a big batch of NOTCOT Buttons, and wandered (ok, i mean shopped) along Haight a little. And these two business cards caught my eye, great use of patterns… backsides and more info below. Hunter Gatherer has some great new prints for sale from their show a few months ago at the BLVD Gallery in Seattle - “Indicators”. See them in the HUGA Store. While i desperately hope and wish to be where there be anthropomorphic dragons, i fear i might be writing to you from the depths of the Blogipeligo. Yes, slightly focused on a mix of real life and intellectuals, just below the Bay of Angst and due left of the Wikipedia Project, floating in and out of the Straits of Web 2.0, and occasionally meandering the Sea of Memes (although the main Isle of Digg is down currently, the Viral Straits live on tonight) and drifting through the IRC Isles. It’s a crazy world this internets, but XKCD has managed to make quite the impressive old school Map of Online Communities. *Beware of the north/”practicals”… full map below. I never thought i’d say this, but this must be the perfect present for the teenage mom studying for SATs in your life… or your teenage babysitters… or your mail order bride. I mean, lets be honest here, its clearly not for the baby to learn some vocab early, they’re barely on making sounds at that stage! But none the less, turning your child (or any child) into your human flash cards just might be crazy enough to help you score a few more points. SATees. Belkin has become quite a design force to be reckoned with. (Remember their incredible booth at CES?) 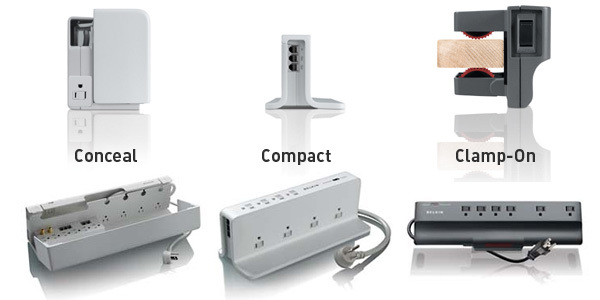 - well their innovative and gorgeously design power strips blew my mind this weekend. Picked up the Compact yesterday to sit on the back of the new couch (that is lower than the height of the cushions) - so its just perfectly hidden and oh so accessible - and its the perfect place for me to dock in to charge phones, cameras, laptops, etc. And when people do notice it, its gorgeous enough not to be embarrassed of. Additionally their Conceal model sleekly hides all the cables inside behind your desk (although i think this is only really good for people who set things up and dont mess with them much), and the Clamp-On is just brilliant for any where you might want to have a power strip handy off the floor (side of the desk, work bench, shelf, etc). More imagery below. Leatherman - the finest in multitool design and engineering have branched out… into Pruners. And i’m impressed (keep in mind, unless flying, i am never far from my Leatherman wave which has served me so well for nearly a decade) - if i were more of a gardener or hunter i’d probably have both of these new models by now (these might be great gifts for mother’s day and father’s day which are quickly approaching). Introducing the Hybrid for gardeners and the Vista for hunters. What do these tools have? Both are stainless steel with non slip handles, a critical bottle opener, and nylon sheaths - the Hybrid has Bypass Pruners, Wire Cutters, Weed Remover, Grafting Knife, Bark Lifter, Phillips Screwdriver, Saw, Flat Screwdriver, Sprinkler Tool, and Ruler - the Vista has Bypass Pruners, Awl, Choke Tube Tool, Flat Screwdriver, Saw, Straight & Serrated Edge, Combo Knife, Phillips Screwdriver, and Soft Wire Cutters. 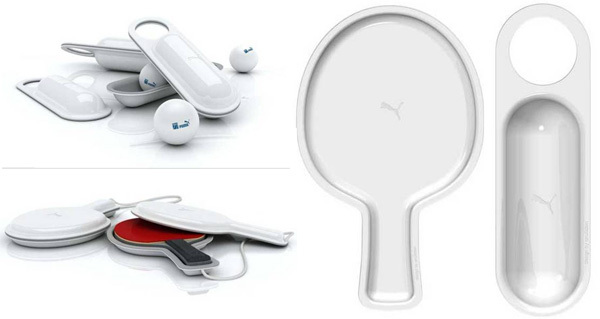 So, check out High Snobiety - to read more about the PT3 (PUMA Table Tennis Tournament) and these limited edition paddle sets designed by long-time pong enthusiast Johan Liden from the New York-based creative agency aruliden. Not to send you all on a mission or anything, but i’m terribly frustrated this saturday morning… i have this skinny hallway that is pretty much useless for anything but walking through and the scribbling on the giant whiteboard on one wall… and on the other side i want to have a long strip of coat rack/hooks… but i want them to be pretty functional, and not stick out TOO far, but enough that i could not only hang coats, yoga mats, tennis rackets, etc but also hang hangers with fresh dry cleaning or what not as well… so up top are the things i’ve found that amused/intrigued me, but nothing seems quite perfect. Perhaps it is time to get crafty? Also thought i’d just ask to see if someone has seen something really nice/minimalist/functional. (FYI, i am currently reviewing in my head the hooks of some of my favorite store dressing rooms that are more unique for inspiration even.) Listing below of what those are in the image. Granted i’m not a huge sneaker girl (although i do love my share of shoes)… i DO love packaging, and while i didn’t know what to think when i first got emailed by Jason Markk… i’m quite impressed with their gorgeous packaging. Premium sneaker cleaner - in a quality mini sneaker box, with playful labeling and what resembles paint splatter and koi. And within the box… 8 oz. Premium Sneaker Solution and Sneaker Cleaning Brush. Gorgeous - see my hands on pics below - nice attention to detail.